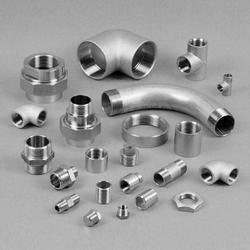 We Aesteiron Steels Pvt Ltd, are one the Leading manufactures & suppliers ofASTM A336 Fittings. 409 Stainless Steel is used in scenarios where a need for oxidation or even corrosion protection is wanted. 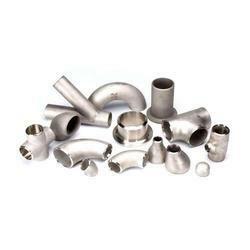 It is commonly used in automotive exhaust system. SS 317L is a low carbon version of grade 317 stainless steel. It has the same high strength & corrosion resistance as 317 steel but can produce stronger welds due to the low carbon content. SS 301 is an austenitic stainless steel with good corrosion resistance & elevated carbon to allow for cold working to a variety of tempers. SS 301 application is such as kitchen equipments, Automotive trim, aircraft components etcs. SS 302 is a slightly higher carbon version than grade SS 304. 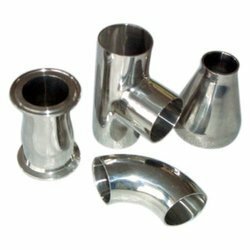 It is usually used in its annealed condition & has a high ease of fabrication & formability. 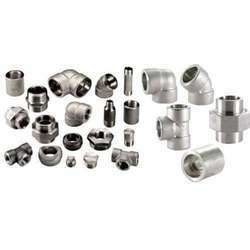 SS 316 is an austenitic chromium nickel stainless steel containing molybdenum. 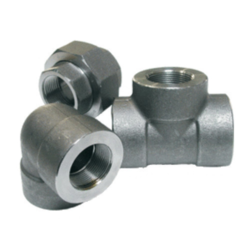 Its is mainly used for furnace parts, pharmaceuticals, heat exchangers, jet engine, paper & pulp industry. SS 316H is a non-magnetic in annealed condition. It can be hardened by heat treatment. SS 329 is used for heat exchangers, chemical tanks, refineries, marine, pressure vessels parts, oil & gas industries, offshore technology, paper industry etc. SS 347 has slightly improved corrosion resistance over SS 321 in strongly oxidizing environments. 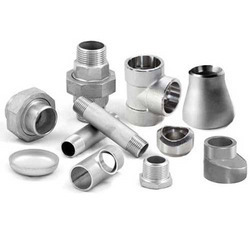 Stainless Steel is a high alloy steels which have high corrosion resistance than other steels owing to the presence of large amounts of chromium in the range of 4-30%. 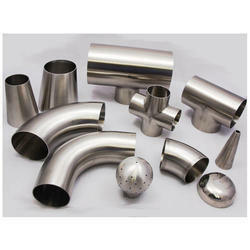 Stainless Steel 348 is an austenitic stainless steel. 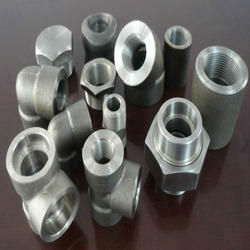 It is used for different kinds if nuclear applications. 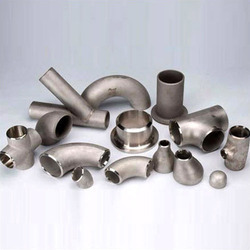 Stainless Steels contains high alloy steels with good corrosion resistance due to the presence of large amounts of chromium in these steels. 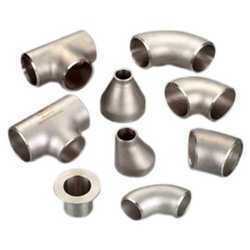 SS 405 is a 12% chromium stainless steel designed to be used in the as welded condition. SS 405 is not vulnerable to extensive hardening through air cooling from high temperatures. 410 is a martensitic stainless steel which is magnetic, resist to corrosion & good ductility. 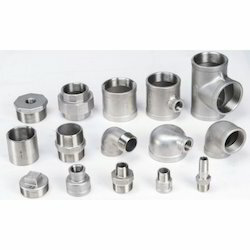 ASTM A336 Gr 410S Fittings & Flanges is a low carbon, non-hardening modification of Alloy 410(UNS S41000) the general purpose 12% chromium martenistic stainless steel. 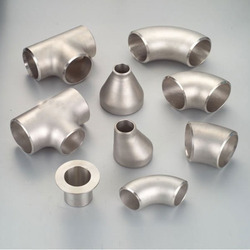 Stainless Steel 414 is a high alloy steel possess good corrosion resistance in comparison with other steel because they contain more chromium. 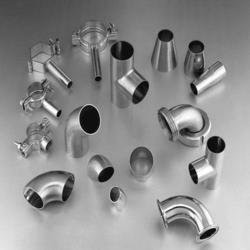 Stainless Steel 904L Fittings & Flanges is widely used for manufacturing tanks, vessels, pipings, heat exchangers etc. 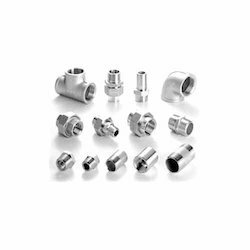 SS 321 is the grade used for application in the temperature range of upto about 900ºC, combining high strength, resistance to scaling & phase stability with resistance to subsequent aqueous corrosion. SS 301LN is a primarily used in rail car structural components mostly rollformed, brake-pressed or strech-formed to profiles. SS 303 is a non megnetic austenitic stainless steel that is not hardenable by heat treatment. It is specially designed to exhibit improved machinability while maintaning good mechanical & corrosion resistance properties. 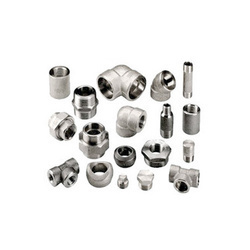 SS 304 is the most versatile & most widely used stainless steel. It provides an excellent low temperature properties & responds well to hardening by cold working. SS 316N is mainly used in furnace parts, heat exchangers, pharmacuticals, jet engine parts, tanks etc. 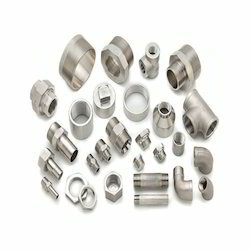 SS 316Ti (UNS S31635) is a titanium stabilized austenitic chromium-nickel stainless steel containing molybdenum. SS 317 is a higher chromium nickel & molybdenum version of 316 stainless steel designed principally for increased strength & corrosion resistance.